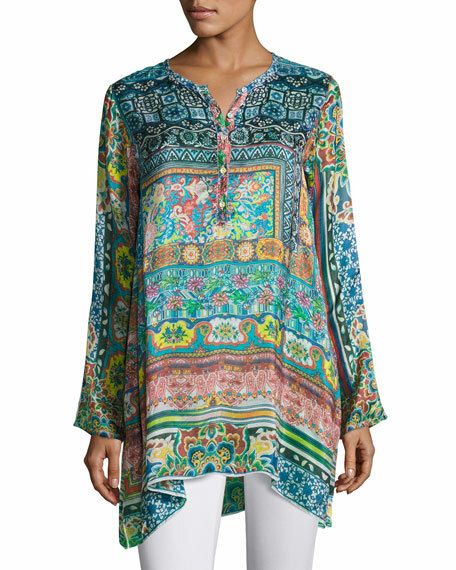 Johnny Was "Frame" tunic in mixed-print georgette. 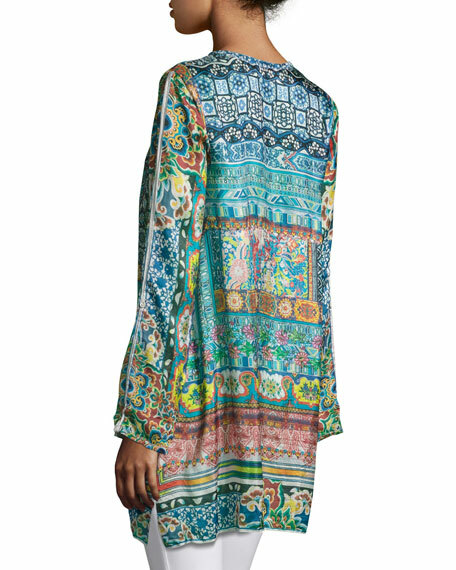 Long sleeves may be rolled and tabbed. Asymmetric split hem falls to thigh. For in-store inquiries, use sku #2071254.